I have been chosen to be a contestant of the Helen Ruffin Reading Bowl contest for my school, and this was a book on the reading list. 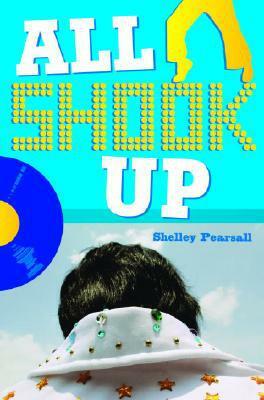 All Shook Up is a book about a 13-year-old boy named Josh who flies to Chicago to visit his divorced dad while his mother is taking care of his grandmother in Florida. But when Josh gets there, he finds out that his dad is an Elvis impersonator! At first, he has nothing to worry about. No one even knows who he is in Chicago, so he can’t be embarassed. But when Josh has to start school, things get a lot harder! This book is great for ages 8-14. There is nothing inapropriate, and it is very humorous! I would rate All Shook Up 3 stars! Here’s a picture of the book so you can look for it!